This military history tour took place in June 2004. It focussed on central and north-western Bulgaria based in Sofia and Veliko Tarnovo. All the sites can be visited in a week with the use of a hire car. As a country to visit Bulgaria has its advantages and disadvantages. On the plus side a temperate climate, food, drink and petrol (but not accommodation) is cheap by Western European standards and the people are generally friendly and helpful. On the negative side the roads are generally poor, signposting is very limited and the sites of interest have given little thought to the needs of tourists. An understanding of the Bulgarian Cyrillic alphabet is essential as is some grasp of the language, although basic English is widely understood. Sofia is an attractive compact city and the main sites can be visited in a day. There are a number of monuments of which the best is the Aleksander Nevski Church built in 1912 as a memorial to the 200,000 Russian soldiers who died liberating Bulgaria in 1877-78. The vital role of the Romanian army in that war gets little credit in Bulgaria – such is Balkan politics! The flea market in the park next to the church will be of interest to militaria collectors. There is a reasonable range of hotels and restaurants. I would recommend the Russian restaurant ‘Peter 1’ in ul. Pozitano. This will probably become the one must see military history attraction in Sofia. It has moved to a new site at 92 Cherkovna Str next to the military academy, although the public entrance is around the corner in Han Omurtag. 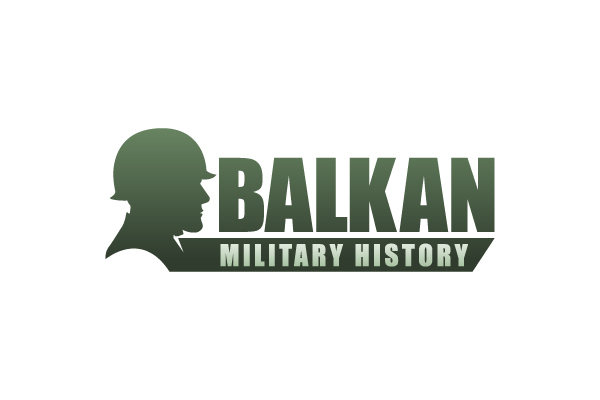 The outdoor exhibits are excellent (follow Sofia Military Museum link for more details) and include AFV’s, aircraft and artillery with plates in Bulgarian and English. There are new buildings which I assume will eventually be filled with the exhibits owned by the museum. However, at present there is only a limited exhibition of the modern Bulgarian army and some royal costumes. 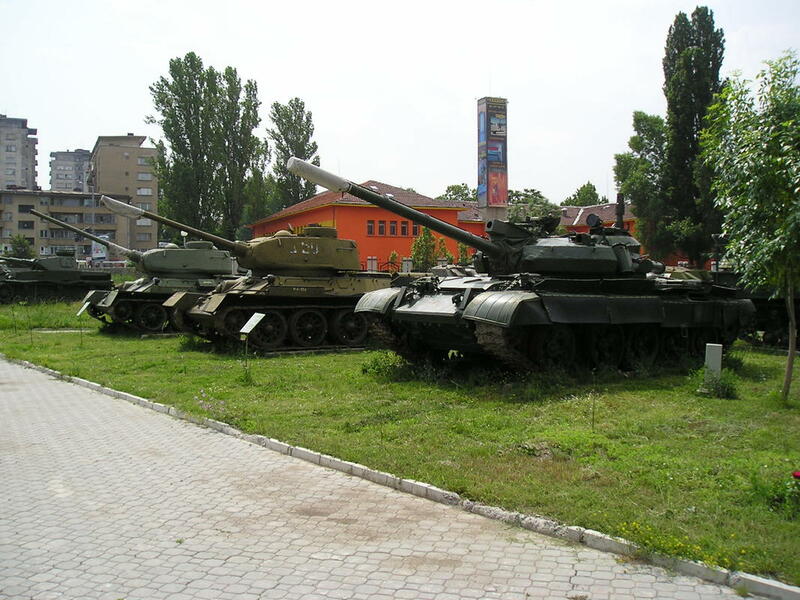 This museum is situated in the suburb of Boyana and is worth the effort even if the military history is limited. 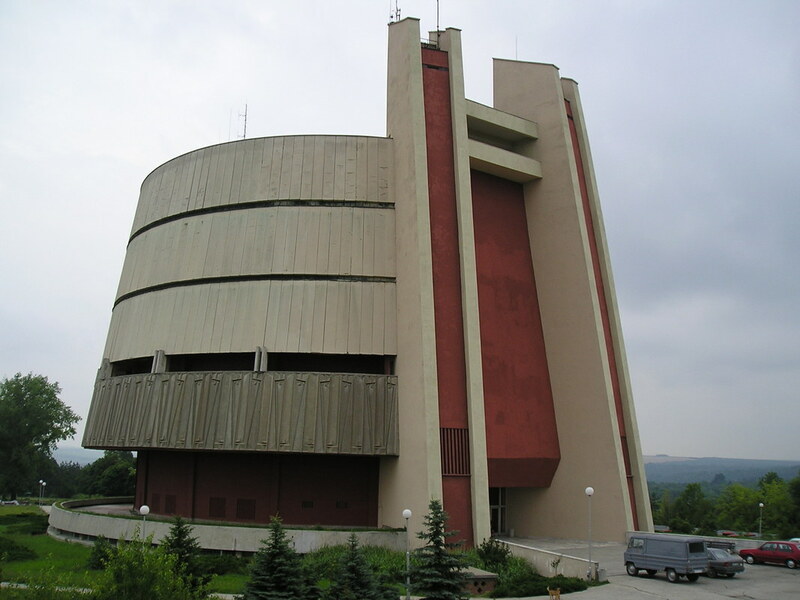 The museum takes the visitor through the history of Bulgaria with the help of large photographs of the key sites and a wide range of exhibits. There is a small collection of early weapons and uniforms from the 1876 uprising and subsequent Russo-Turkish War. There are a number of military aircraft exhibits outside and a well illustrated guidebook in several languages (including English). 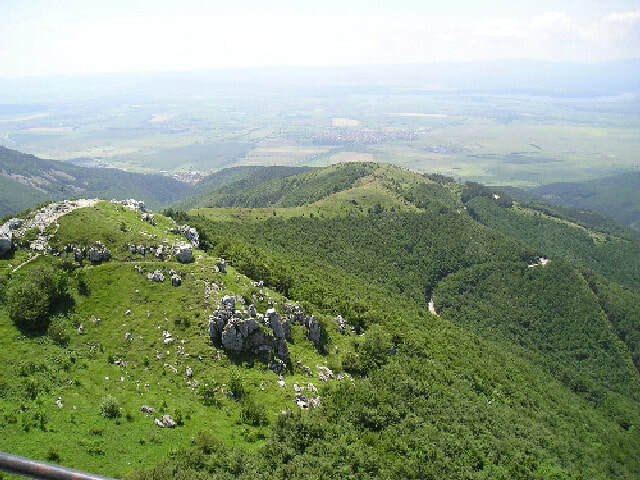 The nearest major battlefield is at Slivnitsa, the decisive battle of the Serbo-Bulgarian War of 1885. 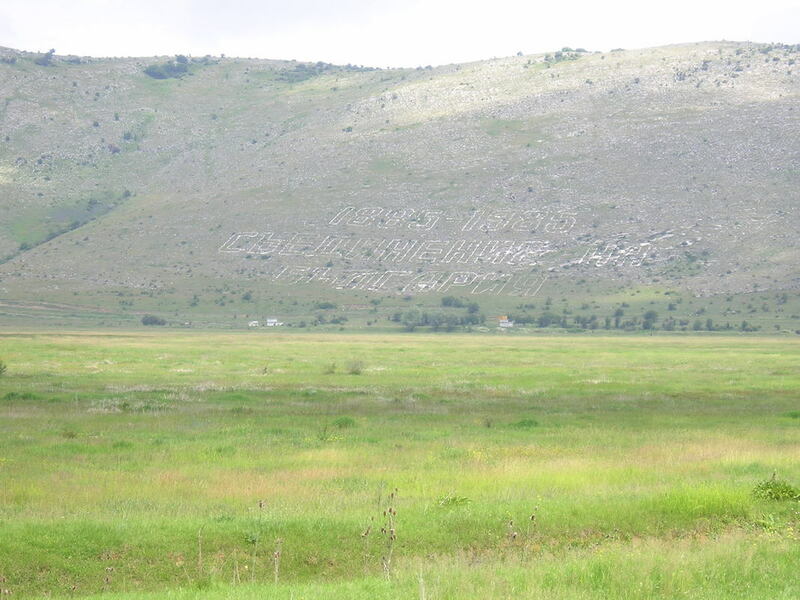 The battlefield remains largely unchanged, as does the nearby Dragoman Pass. There is a monument in the village and a stone commemoration on the hills. ​For medievalists one of the claimed sites for the Maritza River 1371 defeat of the Serbian/Bulgarian army by the Ottomans is at Samokov, south-west of Sofia. A better but much longer (3-4 hours) trip is to Belogradchik Castle, an excellent mostly Byzantine fortress en-route to Vidin which itself boasts the impressive Balba Vida fortress on the Danube. 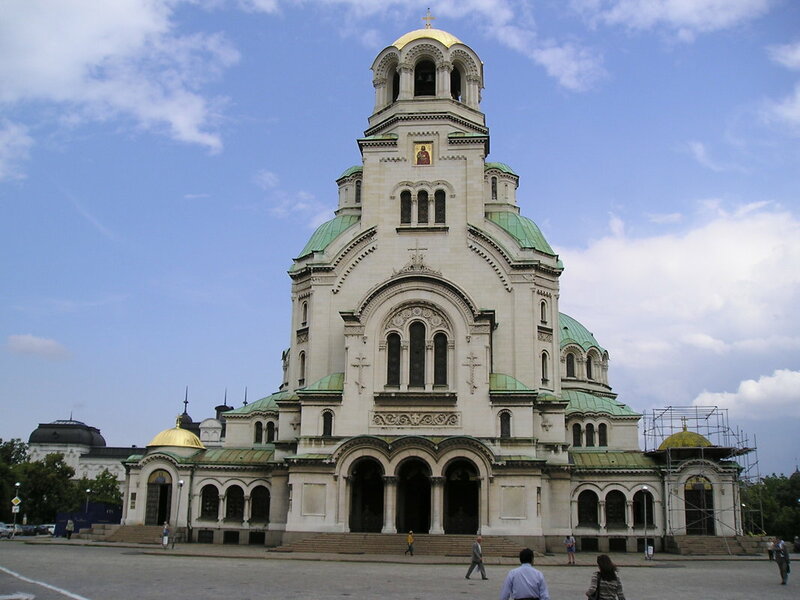 Bulgaria’s second city can be visited on a day trip from Sofia or as part of a circular tour. The old town has been attractively renovated and is regarded as one of Bulgaria’s main tourist attractions. The city has a few sites of interest to the military historian. The hill of Nebet Tepe has a few remains of the Thracian fortress of Eumolpias and a great view over the city. The historical museum has some uniforms mostly concentrating on the 1876 uprising. The main attraction is the Bulgarian Museum of Aviation situated near the airport south east of the city. It has some 60 aircraft plus a small indoor exhibition area. Little in English but the staff are very helpful and well worth the effort. Probably the most striking town in Bulgaria situated on several hills overlooking the Yantra River gorge. 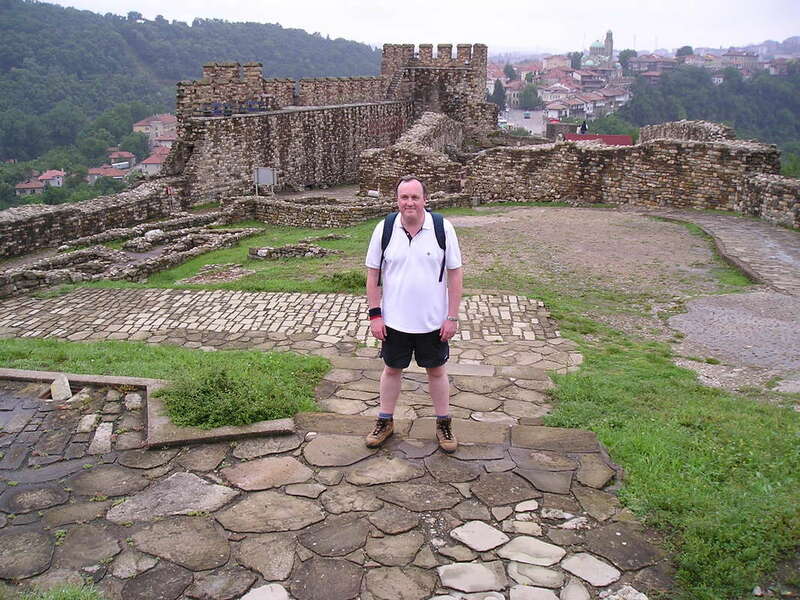 The main site of interest is the medieval Tsarevets Castle, capital of the second Bulgarian Kingdom. This is a massive fortress, partially restored, is built on previous Thracian, Roman and Byzantine fortifications. The Museum of National Revival has a collection of uniforms and weaponry (again virtually nothing in English) as does the nearby Museum of Contemporary Bulgarian History. 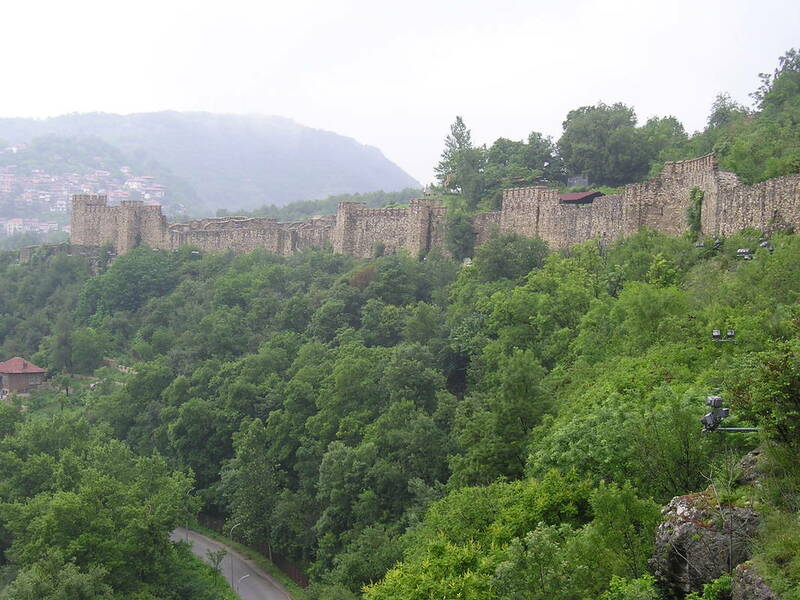 Tarnovo is a good base for visiting the key sites of the Russo-Turkish War of 1877. General Gourko’s advance guard of Russian troops and Bulgarian volunteers held the pass against repeated Turkish attempts to relieve the siege of Pleven. The 1306m high pass has a very impressive monument incorporating a museum and the surrounding hills give a great view over the Bulgarian plain. The decisive conflict of the 1877 war was the siege of Pleven (Turkish Plevna). Osman Pasha’s inspired defence of the town lasted five months. The siege is covered by several sites. The Museum of Liberation of Pleven 1877 in ul Vasil Levski actually only preserves the house where the Tsar received Osman Pasha after the capitulation, although the surrounding park has two artillery stands and the railings and gates are made from cannon and bayonets. The Mausoleum is impressive but is not open to the public. 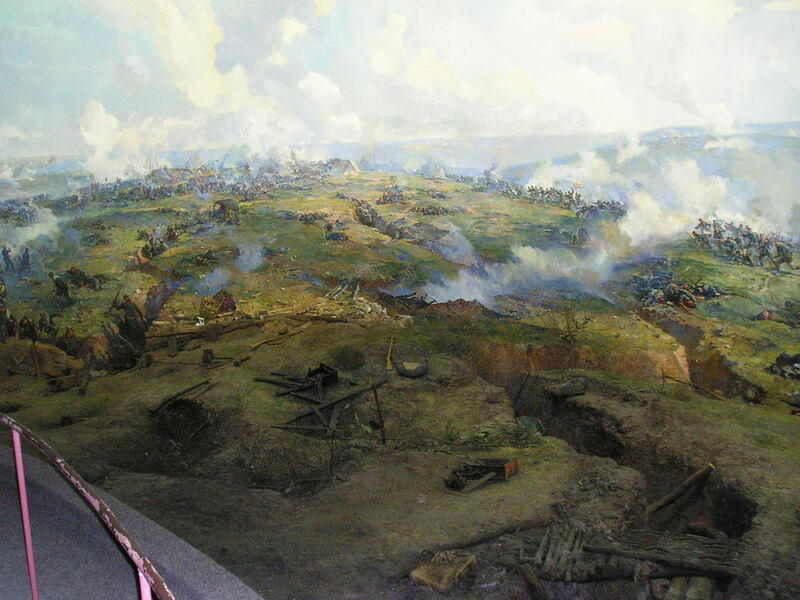 The main museum is situated in Skobelev Park (known as the Green Hills during the siege), a massive panorama built to commemorate the 100th anniversary of the battle. The circular paintings and displays concentrate on Skobelev’s southern assaults on the town and can only be described as superb. Very helpful English speaking staff gave us a guided tour. South of Pleven this town and its fortress was captured by the Russians early in the war. The partially restored medieval Bulgarian fortress is worth the climb. If time allows there is little to be viewed on the Bulgarian side of the Danube as most of the 19th century fortifications have been dismantled. Ruse is probably the most attractive city but little to see. Nicopol is the site of the crusading defeat by the Ottoman’s in 1396, but you have to use a lot of imagination. The ruins of the Roman city of Nikopolis-ad-Istrum, 20km north of Tarnovo, are worth a visit. There are ruined castles at Shumen and Madara that are worth a stop off if you are planning to travel to the coast at Varna. Overall this was an excellent tour with a number of worthwhile sites. Highlights would be the Shipka Pass, the Pleven panorama, Tsarevets Castle, the military museum in Sofia and air force museum in Plovdiv. Do allow plenty of travel time not only for the roads, but just to find the sites due to poor (or often non existent) signposting. For further details of the attractions below follow the links.